A Healthy Lifestyle is a perfect thing to adopt at any give age. The benefits are not restricted to just adults, its equally useful for all women, men and even children. Moreover benefits are not just physical they are good for mental health as well irrespective of age. When we are talking about survivors the first challenge that comes in front of us is how do we stop or lower the possibility of Breast Cancer Recurrence and side by side have a better quality of life after the fight with Cancer. 1) Know if your weight is ideal in relation to your height? Body mass index can provide a detailed composition of the fat accumulation if any in your body and also the ideal weight for your height. A BMI reading over 30 indicates your weight alone can pose additional risks of other forms of Cancer and needs immediate attention on weight control. As seen above excessive weight or gain in weight for a cancer survivor can be life threatening by means of recurrence of breast cancer itself or through disorders associated to obesity. 3) What are the various health risks one can avoid by controlling their weight? Well Diabetes to name the first, Heart diseases and stroke are disorders or diseases directly associated with obesity. Moreover it also risks us to Cancers like Pancreatic Cancer and also heightens the chances of getting cancers like Liver Cancer. Researchers have not established any direct link between healthy diets on improving survival post breast cancer. But our Best Breast Cancer Doctors in Bangalore | Dr. Murali Subramanian says that an Healthy diet will certainly give the more benefit for overall health of individuals thereby shield them against diseases and few forms of cancer as well. The diet suggestions are the same as recommended to everyone else by the Best Breast Cancer Doctors in Bangalore – however the benefits in your case can be far more enriching since the need is different. We just discussed the negative impacts of being overweight. However the generation of excess weight can be routed towards your food intake. So here are some foods that you may add or delete from your diet with an intention to ensure yourself a better cancer survival. — Avoid or reduce items containing saturated and trans fat like fried items, heavy dairy items and junk food. — Choose nuts, olive oil and avocado as they contain fats that are good for our body. Studies are being conducted in order to know the good impacts of low-fat diet intake after on survival post breast cancer diagnosis. Although the outcomes are mixed so far the good news is that it does reduce the chances of recurrence of Breast Cancer by creating a disease free environment. A study has shown that the risk of Recurrence of breast cancer gets cut by 1/4th in those women who consume at least 10mg of soya in their food diet. But these researches are still in progress and the impact needs more conclusive results. At Oncology India, Best Breast Cancer Doctors in Bangalore says that when a physical exercises done on a daily basis will result in better energy thereby resulting in better quality of life as a Breast Cancer survivor.They naturally improve your survival by shielding to an extent against Mortality by recurrence of breast cancer and due any other forms of cancer. 1) What levels of exercise will benefit me? The studies conducted exclusively on the good impacts of exercising on Breast Cancer survival have revealed interesting numbers and facts. There is a 1/3rd reduction in mortality in people who practice exercise like in the form of walking for about 1.5 hours a day.However for Breast Cancer Survival moderate exercises will suffice and there is no need to involve into rigorous exercising. There is a mixed opinion on the impact of consumption of alcohol on the survival post Breast Cancer diagnosis. Few studies suggest alcohol can increase possibility of death due to either recurrence of Breast Cancer or by other related diseases. On the contrary few other analyses show no heightened risk due to alcohol consumption since it does offer few health benefits when consumed in moderate levels. Consult your Best Breast Cancer Doctors in Bangalore to make informed choices about moderate alcohol consumption as the cancer institute’s advise a maximum of 1 drink in two days for women survivors. This being a different scenario studies have revealed a clear negative effect of smoking on the Breast Cancer survival in women. The more they smoke even higher the risk of mortality. Before we discuss the long list of harmful effects of smoking on your health in general we must understand it’s never too late to quit smoking in life. The good news is the probability of getting heart disease drops rapidly after we stop consuming tobacco. 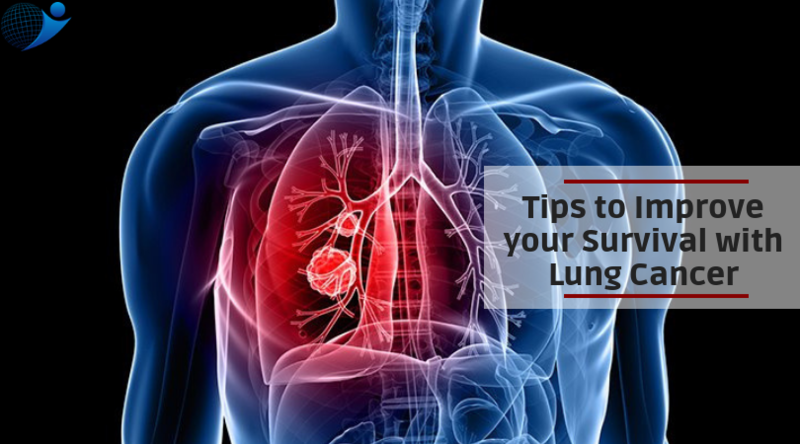 Consult your Best Breast Cancer Doctors in Bangalore to understand the best ways to quit smoking. 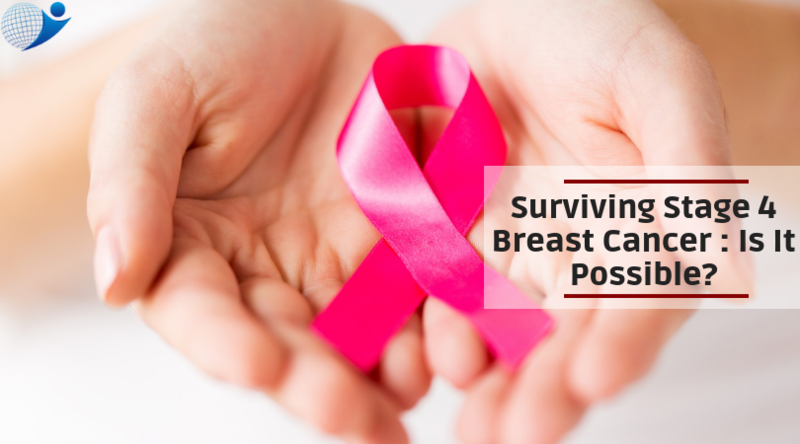 Surviving Stage 4 Breast Cancer : Is It Possible?